Come to Friesen Chevrolet - Where we like to say "If you are smilin' while you're drivin' - Friesen is the reason!" 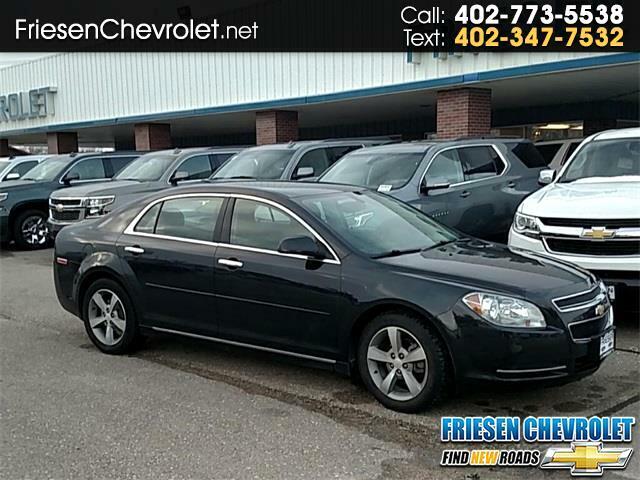 You can smile driving this Black Granite Metallic 2012 Chevrolet Malibu LT 1LT. It is FWD and has a 6-Speed Automatic Electronic with Overdrive transmission and ECOTEC 2.4L I4 MPI DOHC VVT 16V. Comfortable ebony cloth seating. Stop by our showroom to visit with Allen, Tony or Jacque about your vehicle search and see how we can help. No Documentation fees added to our deals to save you more!